I’ve known today’s guest blogger for more years than either of us would care to admit. I first came across her material on small group leadership 20-some years ago when I was an editor at Standard Publishing, and we’ve partnered on several projects ever since. Today, Pat writes and speaks from her home base in California. She is the author of Why Didn’t You Warn Me? How to Deal with Challenging Group Members and a member of the Editorial Advisory Panel for SmallGroups.com. She is the founder and President of Mighty Oak Ministries, and blogs at Why Didn’t You Warn Me?and An Ordinary Woman Pursuing Splendor. GUEST POST by Pat J.Sikora. Follow her on Twitter at @PatSikora or on her ministry website, Mighty Oaks Ministries. Challenging people. Wounded people. Dysfunctional people. Each year we see more in the church. 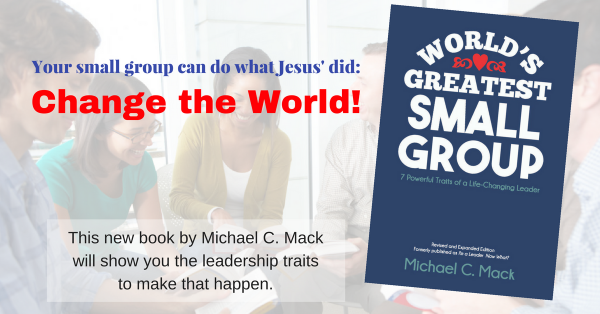 Your average small group might have one challenging person. Those leaders can read my book. But have you considered leading a group of people so wounded they don’t conform to the “norms” of small groups? As I have led groups of severely wounded women, I’ve learned 7 keys about what works and what doesn’t. Be clear when inviting participants. Many wounded people have had problems being part of a group. They already feel ostracized. So I’m honest. I let them know that in addition to Bible study we’ll work on group skills. Most are excited by this. Keep it small. A skilled leader can manage six to ten members, but with challenging people, limit it to four. It’s OK. It’ll feel like ten! You’ll want plenty of time to do the study, process group issues, and deal with distractions. Agree in advance. I use a group covenant that includes meeting time, attendance and punctuality expectations, goals, confidentiality requirements, boundaries, and anything else I expect to be an issue. Members need to understand your expectations and to share theirs. Stress attendance and punctuality. Be especially clear about your expectations here. Challenging people always have something come up. Their car breaks down, their kids get sick, they get sick, their favorite TV program is on . . . They need to understand their absence creates hole in the group and that arriving late or leaving early is disruptive. Start the group on time, regardless of who is there and try to end on time, regardless of how much is left to cover. Talk about attendance and punctuality often and affirm those who make improvements. Discuss group processes. In a group of challenging people, you’ll face a bit of everything. Discuss expectations in advance and provide reminders as necessary. Cut off the person who never takes a breath and call on the quiet one—difficult skills, for sure. Challenging people are lonely. When they have someone to listen, many go on and on—and on. It takes grace to lovingly cut off a member over and over—and over. Set boundaries. Some challenging people want to be your new best friend. Decide early if that’s your goal. I set firm boundaries, telling members I only answer the telephone when it’s convenient, and I can’t spend much time on the phone. Challenging people always have a crisis. They always need to talk. I need to give up my Messiah complex and remember that they reached their present age without me. Chances are, they’ll live without my undivided attention. Enforce confidentiality. As with any group, confidentiality is essential. Even challenging people need to know that their private lives are private. Enforce confidentiality in the group as well, dealing with breeches immediately and firmly. Leading a group of challenging people can be, well—challenging. But you’ll be glad you did. They’re delightful, and watching them grow will be the most enriching experience you’ve had in ages!